The Voice Republic has been set up by a handful of voiceover experts who have been in the business for many years. All of us bring something different to the table, ensuring that the services we offer are designed to deliver a great service to voiceover artists and others associated with the industry. Creating a profile costs nothing but can increase your SEO rankings - which in this highly competitive world can do nothing but good. The type of people we would like to feature on here should be professional voiceover artists - the kind that offer the correct rates to their clients and don’t undersell, those that don’t undercut minimum rates just to get £50 in their pocket. The type of voiceover that cares about the future and longevity of the industry, and, of course, has bags and bags of talent! What we don’t want on here are people who continually drive the price of voiceovers down, people who have ‘homemade’ amateur demos and talent that may have good voices but no experience in delivering stunning performances and no experience or skill in taking direction from a client and turning it into a great VO. 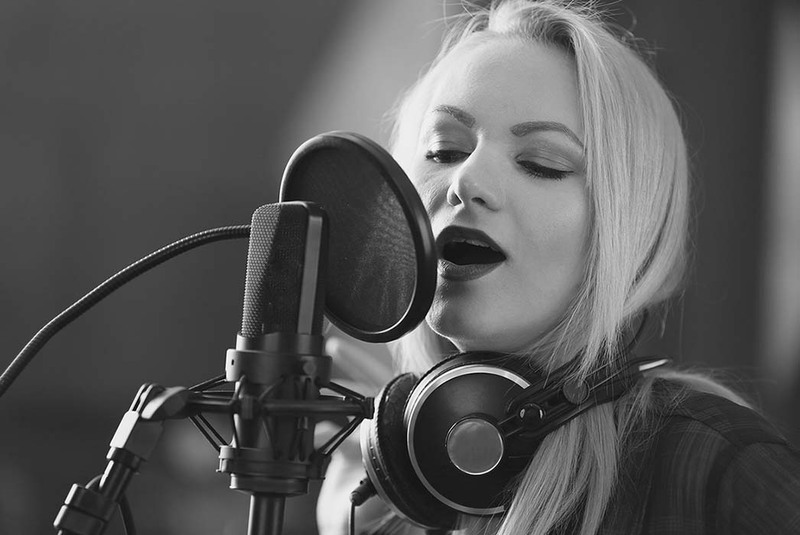 Looking for a voiceover recording studio in London? Our prices start from £25 + VAT per hour. Members have access to the studios for a reduced rate, but guests (people who may only use the studio occasionally) pay the market rate. In short, a one-month subscription saves you money from a single one-hour studio hire. See the membership and hire rates here. Our Voice Over Recording Studio has a self contained voiceover booth that is fully insulated and air cooled. Your voice will be recorded using either AKG or Sennheiser microphones (depending on what is being recorded) - other mics are available upon request. Each client receives a one-to-one consultation with Maddy. During this session, she will suggest material for you to try. At the end of the session you will leave with a copy of the scripts that you will be recording so you can familiarise yourself with them before the actual recording session. This package gives you 3 hours of studio time with an engineer to record and edit as many songs as you like in our studios in London.